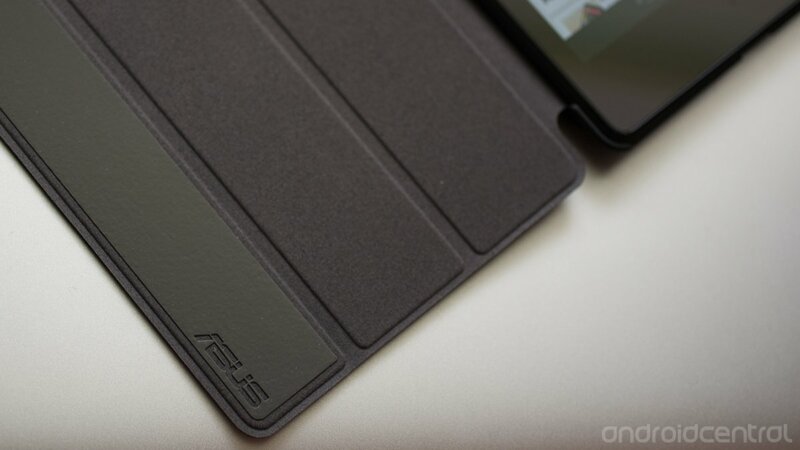 This "official premium cover" for the 2013 ASUS Nexus 7 is not cheap. Of course, it kind of says so right there in the name. "Premium." But, still, this case and cover is $38 and change. That's going to be hard for a lot of us to stomach. But after just a few seconds with it attached to your tablet, you'll find it's quite deserving of that name. Yes. It's expensive. But, yes. It's good. Very good. Read on for our look at this expensive piece of kit. So, a pretty simple deal here. You've got a thin shell protecting the back of the tablet, with a tri-fold cover out front. The case is done in a soft-touch plastic. It looks and feels great (we opted for black, as you can see, but there's a white one, too), but it is a little prone to showing dust and picking up oils on your hands and fingers. 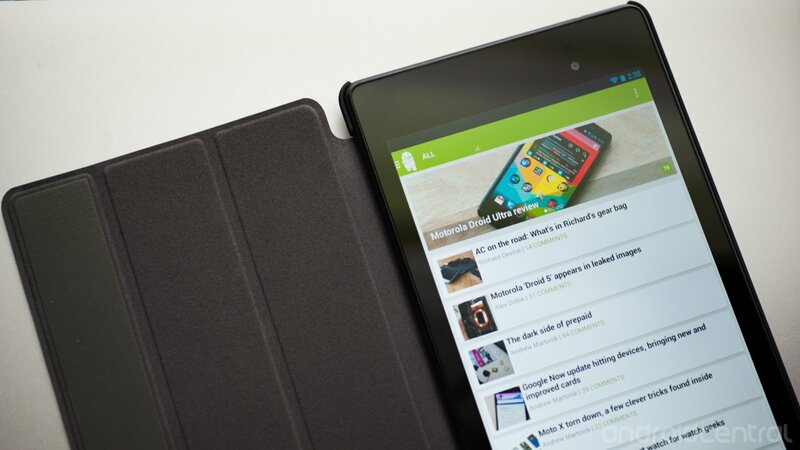 The sides of the Nexus 7 aren't straight. There are two facets, extending and meeting about halfway up. It's at that point that the premium case grips the tablet, so it doesn't extend over the front of the display. That gives the case a really nice look and feel — almost giving the illusion that it's part of the tablet itself. 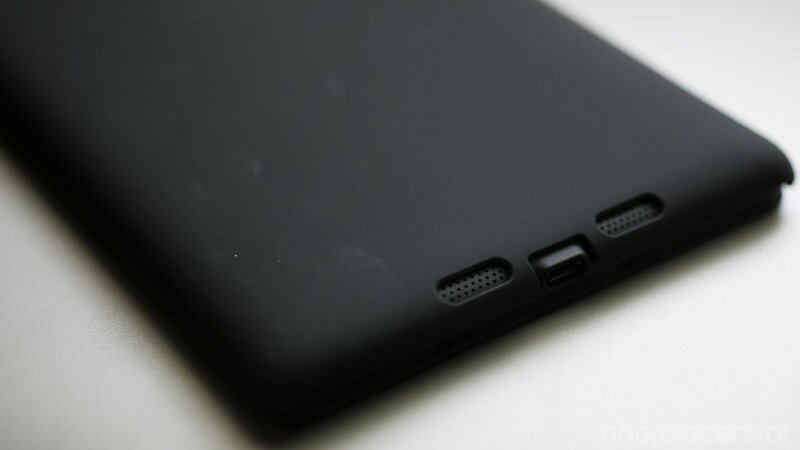 It's really nicely done and shows how the design of the tablet extends to accessories. Form and function. It's worth mentioning at this point that three fourths of the Amazon reviews for this cover that are online as of the time we're writing this are ... well, they're kind of freaking out. They mention that the case doesn't fit at all, or it doesn't properly hold the tablet. We've had no such problems whatsoever, and we ordered this from the same place as everyone else. It almost makes you wonder if hey're trying to use this case on the 2012 Nexus 7. Then there's the cover. It's smartly hinged, rounding over from the back quite nicely. The cover's got three panels that do exactly what we expect three-panel covers to do. (Hi, iPad Smart Case!) Fold them onto themselves to make a triangle, and you prop up your Nexus 7 at a shallow angle for typing, or a high angle for watching videos of cats. You'll notice how one panel's got a different material on the inside than the other two. It's tacky. Sticky, almost (but not quite). It doesn't help the cover stay shut on the screen — rather, it keeps the the panels in place when you've got them tucked into a triangle to prop up your Nexus 7. 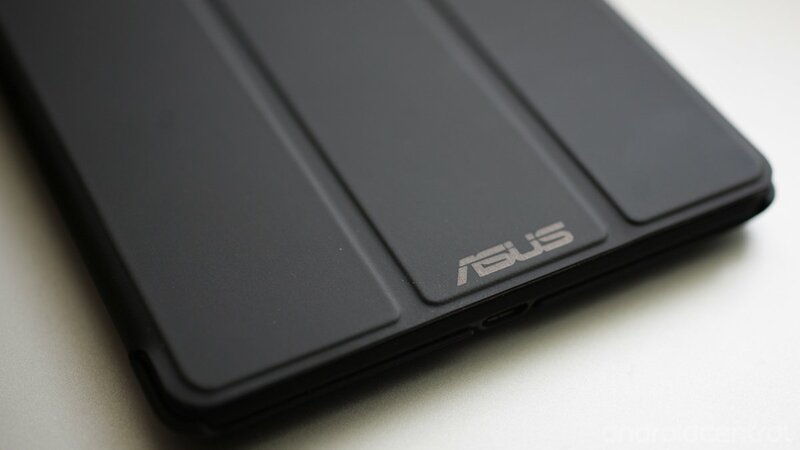 A neat little trick, and the ASUS logo looks smart there as well. The cover lies flat on the tablet when it's protecting the screen. Our only complaint is that there's no magnet embedded in the panels to wake the tablet when it's opened. Not a deal-breaker, perhaps, but we're a little surprised to see it missing. You've also got all the proper cutouts and buttons for the speakers, microphone and camera, plus the volume and power buttons. This is our go-to cover/case combo for the Nexus 7 at this point. Never mind price. OK, grumble about the price. It's not cheap. And grumble about it not having a magnet to automatically turn on the display when the cover opens. That's a surprising (and a bit perplexing) omission. But it's also not the end of the world. This is a high-quality accessory for a high-quality tablet. It does its job, but without the bulk and unsightly design of other cases. And we might never take it off. You can snag one from Amazon for about $38 and change.